Members of the Friends of Shockoe Hill Cemetery have been working for some time to explore the African-American history of Shockoe Hill Cemetery, Richmond’s oldest city-owned cemetery. Indeed, educating the public on the cemetery’s place in community life is one of the group’s missions. 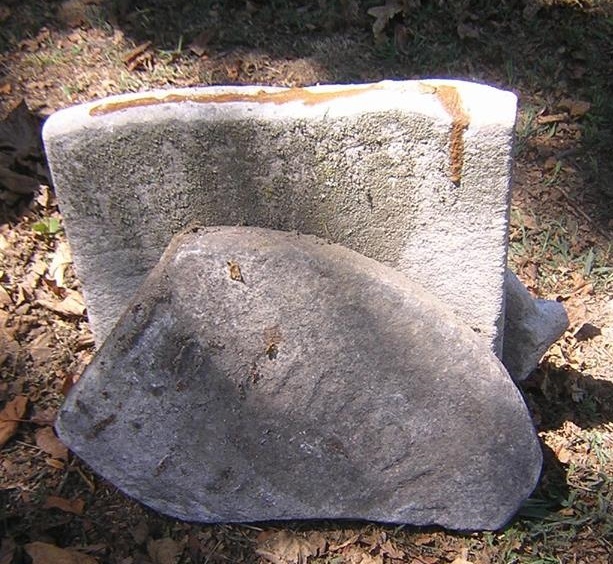 Research has revealed the burial of three African-American women--Lucy Taylor, Lucy Armstead and Judy Jones--prior to the end of segregation in public cemeteries. In each instance, the families for whom the women worked as domestics and nurses appeared before the Richmond City Council to obtain an exemption to allow their burial at Shockoe Hill. It is the desire of the Friends of Shockoe Hill Cemetery to obtain a new marker for Ms. Lucy Armstead and to mark the grave of Ms. Judy Jones. To accomplish that, your generosity is needed. The goal for this project is $3000. You can follow the progress of this project on our Facebook page. You can take great pride in knowing your gift will help to tell the stories of Lucy Armstead and Judy Jones that have been largely lost to time. Help us ensure they’re not forgotten. October 10, 2018 - In 2016 there was significant storm damage at the cemetery. Little of the damage has been repaired due to the lack of funds for the work. Take a look at the damage here. Perhaps you can help fund the repairs. August 5, 2018 - That Hidden Place - Our sincere thanks go out to Melissa Scott Sinclair and Richmond Magazine for this article. January 24, 2018 - 176th anniversary of Dr. Daniel Norton’s death - Thanks to Bill Lohmann and The Richmond Times-Dispatch for this article. August 28, 2016 - Lohmann: New Life for an old cemetery - Thanks to Bill Lohmann and The Richmond Times-Dispatch for this article.